Quandoo connects diners with the best restaurants around the world via a table reservation system that’s smart and always personalised. Quandoo is a convenient way for diners to discover new places to eat, book tables online, get exclusive deals and offers and review their experience afterwards. Bibendum is an on-trade specialist, with a focus on premium wine, spirits and craft beer. Recognised as the Wine Merchant of the Year by the Sommelier Wine Awards in 2017, its range is continually evolving, offering a complete range of wines. 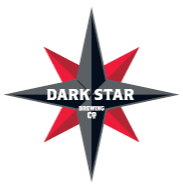 Established in Brighton in 1994, the Dark Star Brewing Co. was one of the founders of the craft beer movement. Perhaps best known for its session beer Hophead, Dark Star produces over 25 different beers a year including Crème Brulee and Hylder Blonde, a beer brewed with fresh elderflowers. The Dark Star Foundation has raised over £100k for good causes locally. 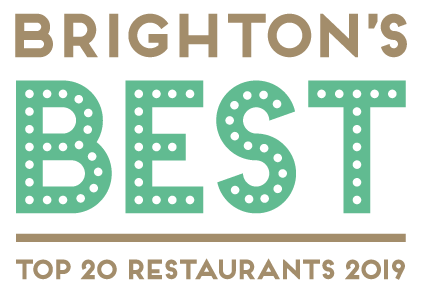 Brighton-based DesignLSM is a multi-disciplined design practice providing innovative design and creative consultancy for a diverse portfolio of world-class clients, ranging from independents to iconic brands within the hospitality and retail industry. They have been delivering internationally recognised, award-winning hospitality design for the last 30 years. Enotria&Coe supplies restaurants, bars and hotels with an outstanding portfolio of premium, popular and artisan wines and spirits. Our reputation is built on three core and constant factors: obsessive product knowledge; the creation of strong partnerships; and a commitment to excellence in everything we do. 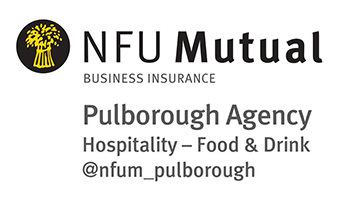 NFU Mutual Pulborough are trusted partners and advisors to many of Brighton and Hove’s restaurants and hotels. The agency is owned and run by Alastair Mcaloon and Matt Baker, who are passionate about the local hospitality industry and work with the whole food and drink industry, from field to fork. NFU Mutual Pulborough can help with business insurances, financial services and health and safety requirements. Based in Brighton’s fresh produce wholesale market, Premier Fruits Brighton has a proven reputation for delivering the highest quality fresh produce and other essentials to the catering industry of Brighton and the surrounding areas for over fifty years. Creators of world-class sparkling wine, crafted with passion and dedication on the South Downs of England. The second-generation family company has recently been awarded the coveted global trophy of Winemaker of the Year in the prestigious International Wine & Spirit Competition 2018; making history for English wine. The Brighton Wine Company is a Brighton-based boutique company, delivering wine and wine experiences. Founder Chris Orr blends the best of the modern, mad wine world with a touch of old-fashioned, personal service – everything from everyday tipples to rare and fine wines. Worthing-based print company L&S Printing combines traditional craft with cutting-edge technology to provide true end-to-end solutions for clients. From creative and production right through to build and installation, the company can do everything under one roof.